Brok is a tourism resort on the bank of the Bug River. In the year of 1939 there lived about 3000 inhabitants, 1000 among them were Jews. The first natives settled there in the 17th century. Their livelihood was small commerce and leasing of orchards and craftsmanship. The first Jews of the place were Jews from Płock. With the development of Brok as a resort town by the end of the 19th century, new sources of livelihood and economic opportunities opened to the Jews. Part of the Jews of Brok started with services to the vacationers. New Kosher inns and restaurants were built and the existing shops prospered. Brok was well known by its matzah for Passover (unleavened bread) bakery and it supplied them also in Warsaw and Łódź. These bakeries operated a few months in the year, near Passover. In the small town prevailed traditional and religious way of life. There were 3 Bathei Midrash, Houses of Study. The central synagogue was made of wood and was build by the end of the 19th century. Among the known Rabbis who served in Brok were R’ Abraham Lajb (from the Kock Hassidim) who served in 1890, R’ Nachman Shmuel Jakob (in 1908), R’ Shmuel Icchak Miadasar (in 1925) and R’ Jakob Meir Pomeranc (immigrated to Eretz Israel). The following Societies were active in relief and social welfare: “Linath Hatzedek”, which took care of the poor sick people, “Hachnasat Orhim” (hospitality of the poor) and “Kupat Gmiloth Hassadim” which gave loans free of interest. In the period between the two World Wars, branches of Zionim Klaliim, “Hamizrachi” and the Revisionists, as well as Zionist youth movements – “Hashomer Hatzair” “The Zionist Youth, “Hashomer Hadati” (The Religious Hashomer) and Beit”ar were founded in Brok. 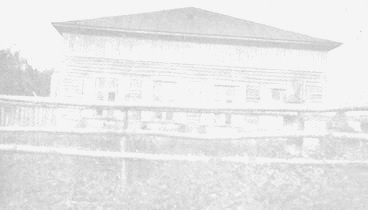 In the year of 1938 was founded in Brok the center of Hachshara (preparatory) of Hakhalutz (The Pioneer). The local branch of “Agudath Israel” relied mainly on Gerrer Hassidim. A few of the local Jewish youth belonged to the “Bund” and the Communist movement which were illegal. In the election to the local Council, the Jews of Brok won 3 mandates (2 the “Bund” and one of the civil movement). Most of the Jewish boys of Israel studied in traditional Heders (religious elementary schools) and the girls in Beth Jakob schools. 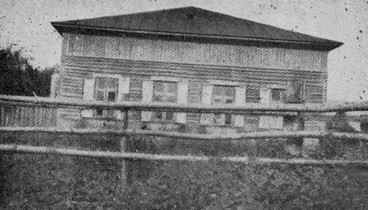 During the period between the two World wars, the education became obligatory so many of the Jewish children studied in the Polish elementary school in Brok. Brok was occupied by the German Army on 8th of September 1939. The following day the conquerors set fire in town, burning almost all the wood made houses of Brok. Many of the local people were burnt alive, among them about 40 Jews. The Jews who tries to escape were herded to the local church and men age 15-45 were led to Ostrów-Mazowiecka and Komorówo. They were freed after 2 weeks. The abuses and persecutions intensified and by the end of September 1939. Robberies and murders were the daily share of the Jews in Brok. Anti-Semite Poles, local inhabitants of Brok cooperated with the German with all these abuses. Most of the Jews escaped and reached Ostrów-Mazowiecka. Even then, murders of the remaining Jews happened all the time. On Hol Umoed Succuot (the intermediate days of Tabernacles) (1939) the Germans ordered all the refugees from Brok to leave Ostrów-Mazowiecka and move to the Soviet zone. 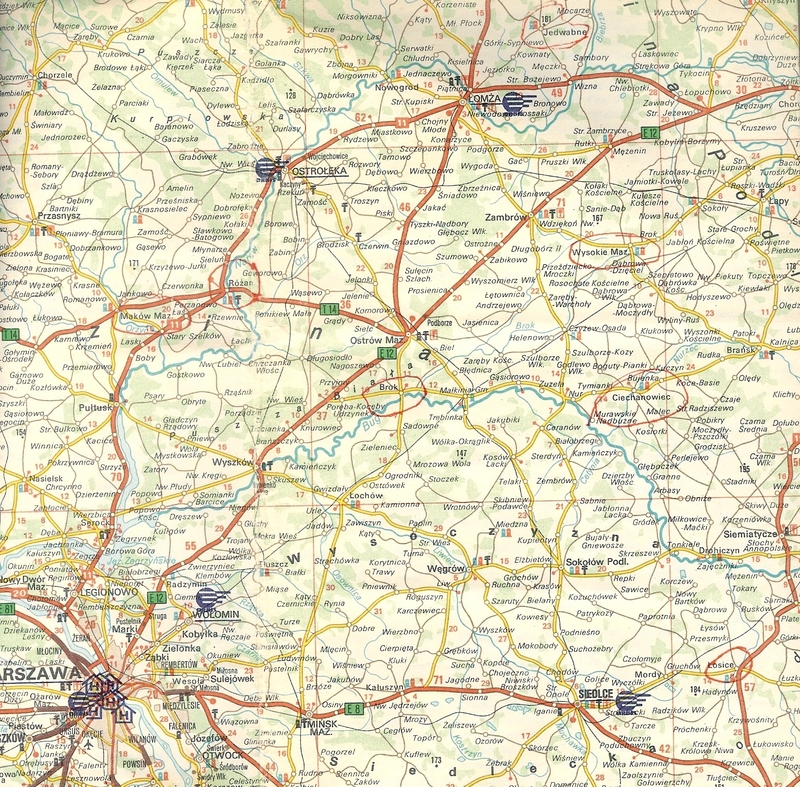 Most of the refugees arrived to towns and village is the eastern part of Poland. Most of them were killed in the years of 1941-1942, during the war of Germany and the Soviet Union. About 300 survivors from Brok survived the War in the interior lands of Russia. a. III 38 file 13. The memorial book of the Jewish Community of Ostrów-Mazowiecka, Tel Aviv 1960, pages 546-544. “Haynt” (the daily Yiddish newspaper in Warsaw) 17.12.1918, 10.1.1919, 13.1.1919, 4.2.1929, 12.3.1935. “Neue Folks Zeitung” 29.7.1927, 5.8.1927. More photographs of the cemetery and tombstones will be added to this web site soon. >>In Brok there is still a Jewish cemetery (I live a few yards from this cemetery)... According to my calculations there are about 52 tombstones which survived. The cemetery is fenced, but overgrown with trees and bushes, so in the summer it is hard to get around. The synagogue does not exist, the Germans burned it as soon as they entered the Brok in September 1939. But a well from the Jewish mikveh still exists... In addition, in the town remained very few old houses, because the rest of the buildings were burned down by the Germans in 1939. >>I thank you very much. Due to you I've translated the article and attach it herewith. Also please send me some pictures of the nearby river and/or some images of the town. I am very happy that with your great help me and others will increase their knowledge about the history of the Jews from Brok. Some tombstones are knocked down and overgrown with moss or grass. Most of the headstones are legible, and the oldest of them dates from 1854 and the newest - 1937. The cemetery occupies about 0.42 hectares, which indicates that the area is the same as before World War II. I am 25 years old and lived in front of the Jewish cemetery (I know it inside out). Last year I received the title of Master of Science in Forestry (Warsaw University of Life Sciences, Faculty of Forestry). Since January 2014 I work in the Forest District of Ostrów Mazowiecka. I became interested in history as a child. These interests were instilled by my grandfather, who as a teenager spent the German occupation in Warsaw and as a forced laborer for the Germans. My grandmother came from the vicinity of Treblinka and she also told me about the transports of Jews to the death camps. The war between Poland and Germany began Friday, the 1st of September 1939. Tuesday, the 5th of September at midnight, a terrible explosion was heard. The Polish army had blown up the bridge that spanned the Bug River at Brok. (It was said that this was a provocation, a forged order, because later the Polish army did not have any way of returning and their heavy artillery was left behind for the Germans). The police left town during the night. We had no idea what was happening. From the towns that the Germans had already taken and from the whole area, thousands and thousands of people were fleeing with packages on their shoulders. They were trying to escape to Warszawa, or to the eastern part of Poland, with the hope that the Germans would not get that far. Friday, the 6th of September (24th of Elul), the last Polish soldiers left Brok and on Shabes, the German army arrived in Brok. An officer called me to the market place and told me the stores must be opened, that we should not be afraid, they would pay for everything: do not raise the prices, as we know what they should be. I went around town pleading with people not worry about it being Shabes and to open the stores because this is a matter of saving lives. The Jews sat the entire day in the besmedresh and said Psalms. But when I saw that groups of soldiers were coming into the school, coming and going away, I called for Mincha and we went home. The Jews who arrived later made a second minion for Mincha. Suddenly as I arrived home, an airplane flew overhead and saw how the military were gathered together in a certain place and soon bombs were raining down (later we found out that the Polish artillery was firing from Ostrów to Brok). Afterwards the German soldiers went into all the houses and dragged people out. At my house we were full up with women and children. A soldier threw a hand grenade into the kitchen and if it had exploded there would have been a lot of victims. Luckily, a miracle happened – and the grenade fell into a pail of water and never went off. I was forced from the house by a soldier with a rifle who said, “out criminal, or I shoot”! I began to run, not having any idea where I was going. Running past the besmedresh, I saw that the Germans had surrounded it and had shot the Jews who had arrived for the second “minion”. The following are those who were murdered: Herszel Czernowin a butcher, Fiszel butcher's son-in-law; Jakob Meier Rotbard (the dark one) and Motl Holland. He was wounded and was brought to my house and laid on the bed. But when the Germans forced everyone out of the houses, he died in the courtyard of the Orthodox Church. Also, a message was brought to us that there had already been a number of people killed here in Brok. Michel Finkelsztejn, the turner, was shot near the grain-mill while being dragged to the gathering place. Herszel Lewatowski; Mordchai the butcher's son-in-law, Mosze Przestrzeleniec, a child of six (Mordchai butcher's grandson); Herszl Sztejfman, a wagon driver, was shot near his house; Chaim Jakob Zysk's Sztejnberg was blown up when his house was bombed and burned. Fala, the writer's wife, Szfaker and Hersz Icchok Rotbard's wife were also burnt – in total ten people. It was difficult to remain sitting because of the heat – everything around us was burning. If not for the trees that shielded us, we would have all been burnt as well. At midnight, the Jews gathered around Israel Chaim Szub and in the courtyard of the Orthodox Church said the first slikhes. In the morning we were ordered to leave town. We left in small groups, taking various roads to get to Ostrów. In the group that left with me about three kilometers from Brok, in the forest, three Jews were shot: Mendel Treblinski, Icchok Maier Szajko and Meier the butcher (Szmulek's) Przestrzeleniec. They also wanted to shoot me, but one of my children was with me and then they did not murder small children. Thanks to my child I was saved. The entire Jewish population arrived in Ostrów and there was simply no place to stay. Ostrów was full with thousands of refugees. People were living in all the public buildings. The Germans scoffed at the Jews. The trouble that Rabbi Zinger (Ostrower rabbi) endured from the Germans is a separate chapter. Every time they called him, there were more demands to be met. Every time they sent for him he was insulted and beaten and his beard was cut off. The Jews still held on to the hope that Ostrów would belong to the Russians – but the border remained outside Ostrów. There is no way to describe the torment and sadness when it was realized that Ostrów would remain German. Worse, the Jews who had stayed in Brok in the few remaining Jewish houses were cut off. In the night Monday to Tuesday (28th Elul) the Germans blew up Meier Szmulek's house and shot Icchok Kuperberg, an eighty-five year old man, Zysze “melamed” and Izrael Hejmen (they wounded him, but he managed to get to Ostrów and died there 3 Tishre); Alter Einbinder's wife, Jakob Krupinski. From another house that belonged to Herszl Surek, they took Herszl Surek, Matti shoykhet, Jakob Migdal and his son Henich, Berisz Piwka, Arke Jozef Langlejb, Berisz Jabkowski (blacksmith), Szmulke Szmelcynger (Lejbl Szmelcynger's son), Mendel Sztrikmacher, Abraham Surek, Anszel Prawidlo, tailor, and a Jewish stranger. They were taken to the old castle and after great suffering were killed. On the road from Brok to Ostrowa the Germans purposely ran over Markil Wajsbord and he died on Rosheshoneh in Ostrów. Also the wife of Nach Burejkes was killed.